When is the best time of the year to buy a home? Strictly analytically speaking, there are at least two days of the year that give home buyers the edge. 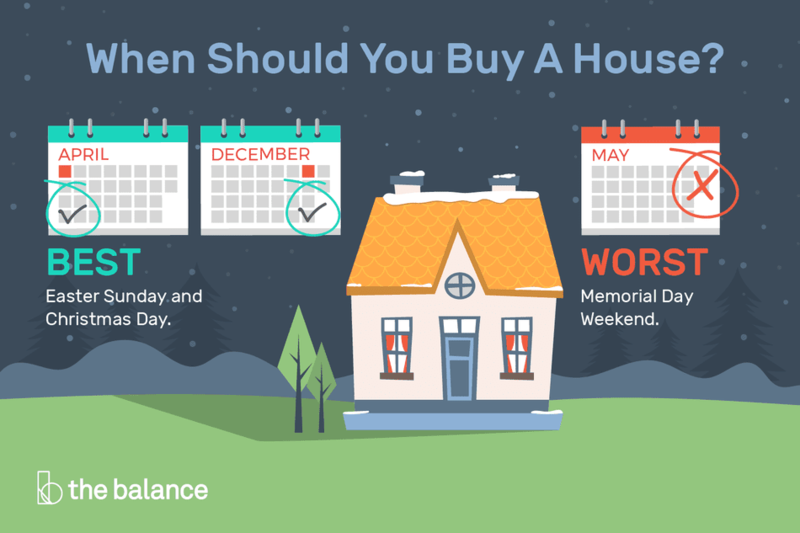 Would you like to guess which two days are best for buying a home? Pick out those days and let's see if you're right. Every spring, as tulips struggle to poke through melting snow in the North and rosebuds cautiously open in Southern climes, sure as tootin' real estate signs begin multiplying like bunnies across the country. Soon as the For Sale signs are mounted on the posts, swarms of activity buzz in the streets as sellers, buyers and real estate agents crawl out from wherever they hibernated for the winter to welcome the spring sales season. One important tip to remember is try to never close on the last day in May. You will have a hard time finding movers, and the title companies will be crammed with closings. But when you're hoping for sellers to be the most open and receptive to an offer, there are two great days of the year to buy a home. A buyer looking for a fixer on the outskirts of downtown Sacramento lucked out last Easter. A home came on the market at an attractive price. The buyer immediately inspected the home and wrote an offer. Fortunately, the listing agent was also the seller, so it was very easy to present an offer. The offer was signed and accepted on Easter Sunday because there was no competition. Come Monday, offers started rolling in, but it was too late. Obviously, in non-Christian neighborhoods, this tactic might not work as well. Easter falls sometime between March 22 and April 25. It is the first Sunday after the ecclesiastical moon after the vernal equinox. The vernal equinox falls on March 20th or 21st, depending on the year. Almost nobody looks at homes on Christmas Day. It doesn't matter whether you are a Christian nor whether you celebrate that holiday, there are much lower numbers of buyers shopping for a home in December. But buying on or near Christmas Day is a smart move. If you scout out the homes on which you'd like to make offers a few days before Christmas, you'll be better positioned. Why is the Christmas holiday season so attractive? People are in good moods, celebrating, opening presents, enjoying family and, let's face it, some are a little tipsy. People are more inclined to be generous, even if it means coming down on the price. "Hey, it's Christmas, hon; just sign it." Few buyers are out looking at homes during Christmas week, so the chance of multiple offers or any competition whatsoever is very low. Home prices typically drop to a 12-month low in December. If a person has their home on the market over Christmas, that person is definitely serious about negotiating and selling that home. You can bet on it. Better yet, why not write an offer? Of course, the key is to find a real estate agent who will a) work on Christmas and b) be aggressive enough to worm her way into the seller's home without batting an eyelash. Those agents are out there. When I was in Hawaii last December, I followed my own advice and bought a home. Pass the eggnog. Most expensive zip codes to rent and buy in. What age is best to buy a home.